Setup the “7 Sin” is a common custom in Nowruz. 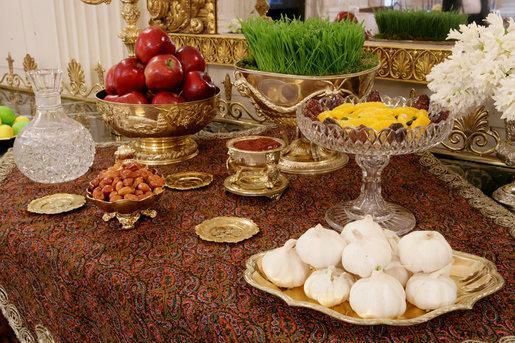 Iranian people set 7 items all starting with the ‘S’ in Persian language. For example Sumac (Persian: somagh), Apple (Persian: Sib) and etc.